Census data released Dec. 20 show the Land of Lincoln is no longer the fifth-largest state in the U.S.
Illinois is no longer the fifth-largest state in the U.S., according to data released Dec. 20 by the U.S. Census Bureau. That title now belongs to Pennsylvania. 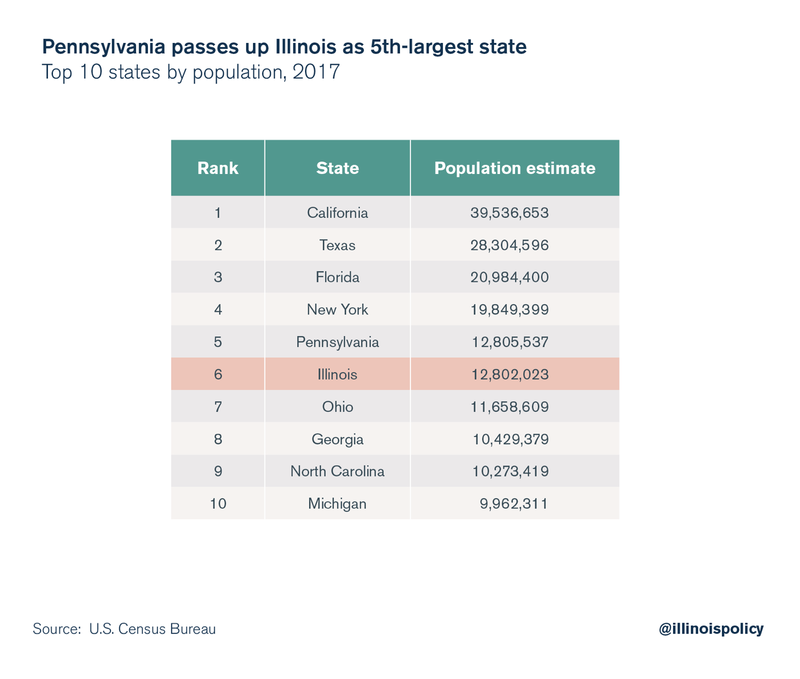 Census officials confirmed Illinois lost its spot as the fifth-largest state in the wake of Pennsylvania’s modest population growth. Illinois shrank by 33,700 people from July 2016 to July 2017, the worst decline of any state in the U.S. in raw terms. In percentage terms, Illinois saw the third-worst population decline in the nation. That brought the 2017 population estimate for Illinois to 12,802,023 people. Meanwhile, Pennsylvania saw modest population growth of 18,400 people over the same time. And that was enough to overtake Illinois as the fifth-largest state in the country. The Census pegged Pennsylvania’s population at 12,805,537. This marks the fourth consecutive year of population decline in Illinois. Only West Virginia has seen more consecutive years of population decline, with five. 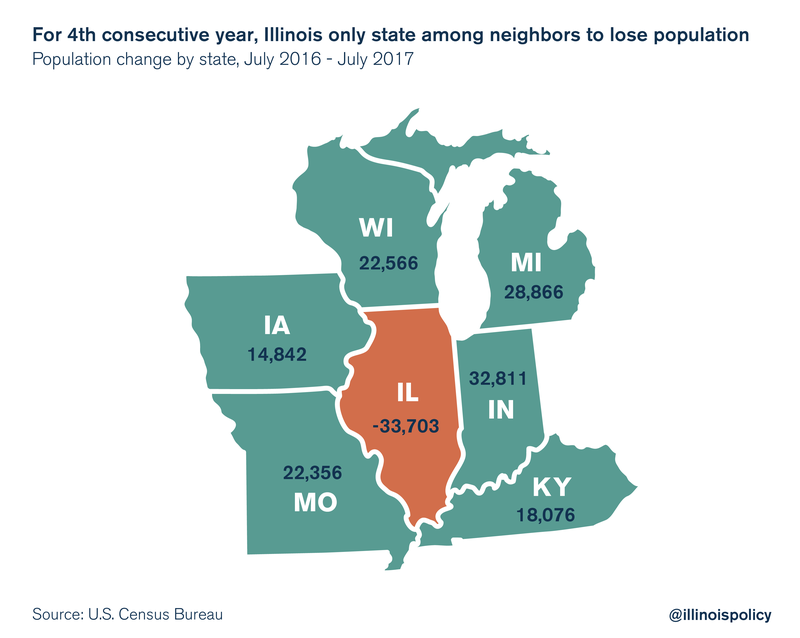 Meanwhile, all of Illinois’ neighboring states experienced population growth in 2017. 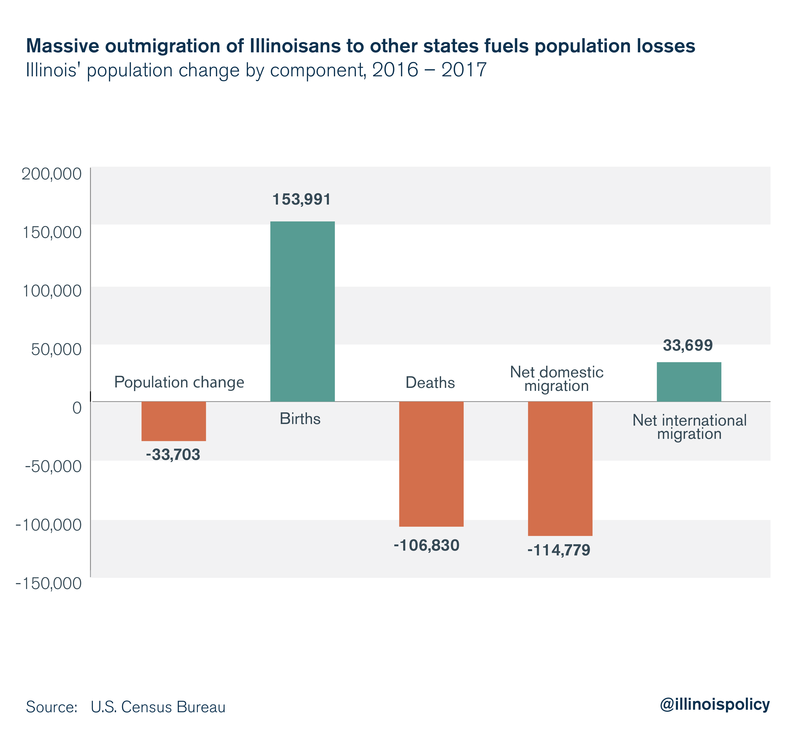 The Census data reveal the cause of Illinois’ shrinking population: heavy losses of Illinoisans to other states. From July 2016 to July 2017, nearly 115,000 Illinoisans left for other states on net, according to the Census data. Since 2010, Illinois has lost nearly 643,000 people on net to other states. 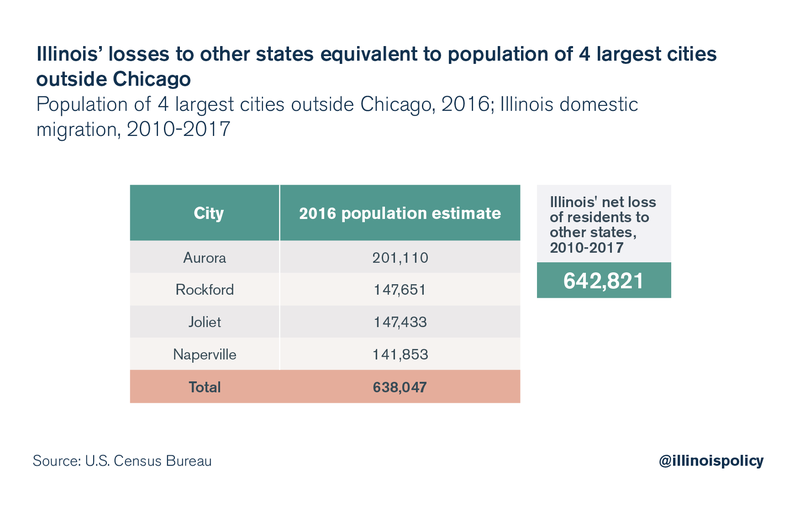 That’s equivalent to the population of the four largest cities outside Chicago combined: Aurora, Rockford, Joliet and Naperville.